The awesome folks at Pinterest just released their 2016 Pinsights Flavor Report featuring the top 10 trending flavors, ingredients, and food pairings people are currently loving. 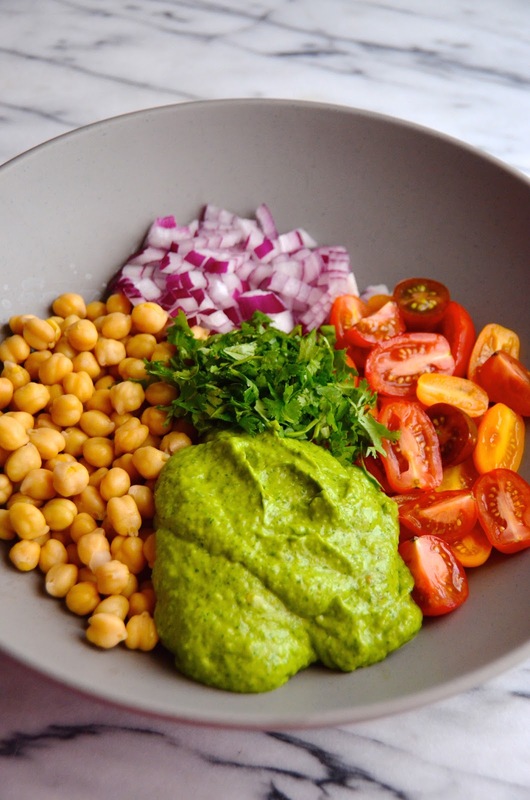 I was super inspired by all these ideas, that I decided to create this chickpea salad recipe highlighting one of my personal faves: cilantro! Fair warning: If you're one of those people who thinks that cilantro tastes like soap, you're probably going to want to skip this one. But for this rest of you? Step right up! This whole thing came about because I wanted a way to eat guacamole by the spoonful. As in minus the chips. I'm not saying that this isn't already a thing that I did, because...um...it is. But at least this way I could feel totally cool with calling it a complete meal. 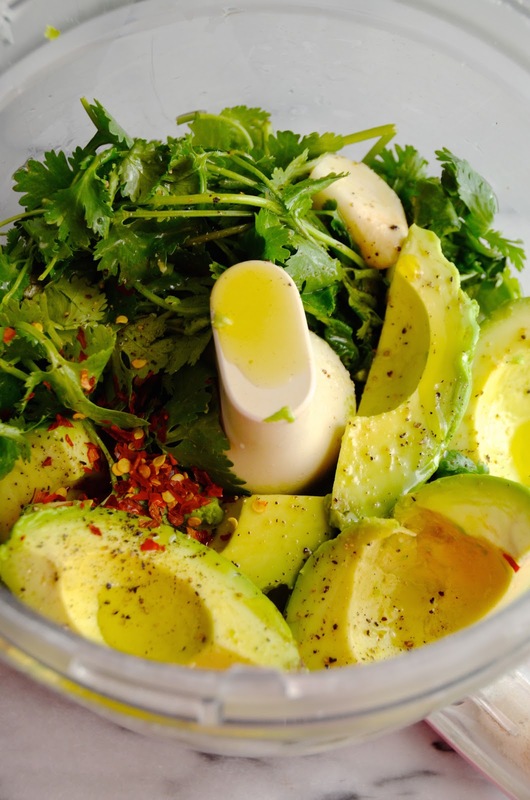 Guacamole for lunch? Yes, please! 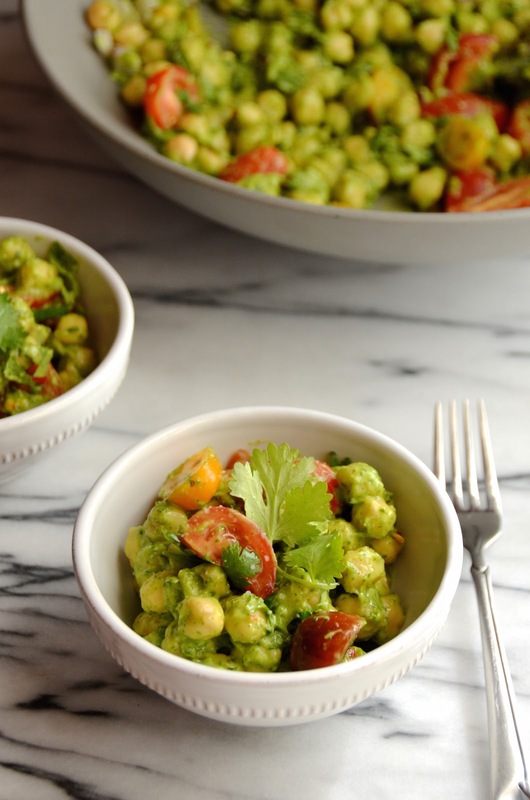 This quick and easy chickpea salad packs in all the best things about guacamole: the creamy avocado, tart lime juice, spice from the red onion and jalapeño, and the bright grassiness of the cilantro. I'm a cilantro lover, for sure. I will routinely add it to my salads and sandwiches, and will even stand in my kitchen plucking stems out of the fridge and munching on it they way normal people eat carrot sticks. 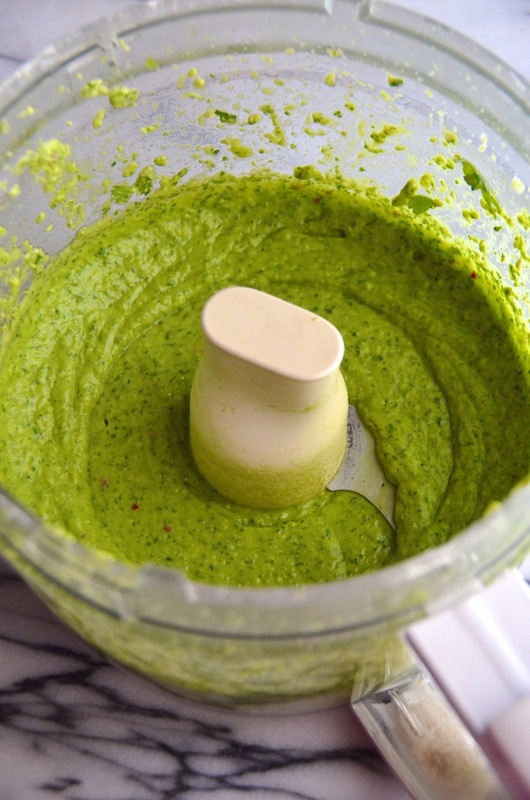 This recipe packs lots of cilantro flavor with a full bunch pureed into the creamy avocado dressing. I love recipes like this that can be made in advance. They're perfect for easy lunches throughout the week or for casual weekend brunch or lunch parties. 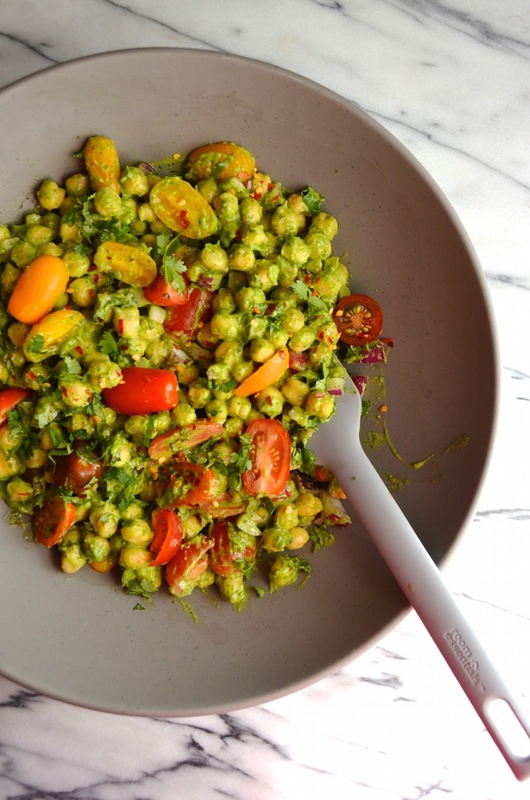 It works on its own as a vegetarian main dish (looking at you, meatless monday!) or as a side to grilled proteins or fish. I haven't tried dipping tortilla chips in it, yet, but I strongly suspect that would also be a good thing.